A monarch butterfly flits from a swamp milkweed bloom to a cone of blue pickerelweed flowers, while other butterflies fly above the mass of wetland vegetation. Spiderwebs hang lazily between stalks of softstem bulrush, and the heat of midsummer causes frogs resting at the edge of the wetland to dive deeper and cool themselves. Birds trill in surrounding forest while insects hum and water trickles continuously into the green pool. This idyllic scene is made of waste. 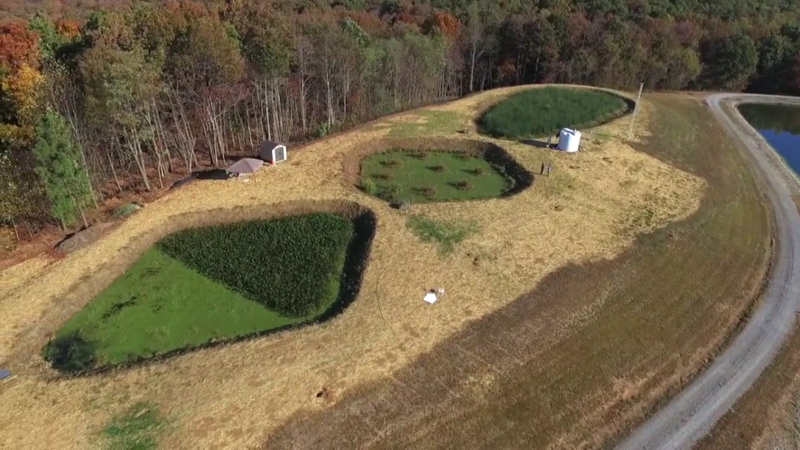 Established as a collaborative research project between the University of Georgia and the University of the South, a suite of professors, undergraduates, and graduate students constructed these wetlands in 2016 to discover whether or not they could be a cost-effective way to remove pharmaceuticals from wastewater. Dug out of what was historically a barren garbage heap, this pond, and two more beside it, are continually filled and drained with wastewater from the Sewanee Utility District. SUD, as it’s locally known, is a water treatment facility for Franklin and Marion Counties in Tennessee. A few meters away from these wetlands are three huge lagoons of wastewater. SUD filters water through the lagoons one at a time, using bacteria, algae, and microorganisms to process waste, while the wetlands “polish off” this treated water using larger freshwater vegetation. Once the water has taken its 75-day trip through all three lagoons, it’s sprayed across 62 acres of surrounding forest, a relatively common practice called “land application.” The sprayed water is up to EPA standards, but the EPA’s wastewater policy doesn’t address pharmaceutical pollution. Pharmaceuticals are a water quality concern globally: “If you live downstream from a city that’s discharging their treated wastewater effluent into a river, and you draw your municipal drinking water from that river, you are getting a cocktail of low concentrations of pharmaceutical compounds,” explains Dr. Deb McGrath, a biology professor for Sewanee and one of the heads of the constructed wetland project. On top of the Cumberland Plateau and downstream from no one, pharmaceuticals haven’t been a major concern for the SUD or Sewanee residents until recently. In the past ten years alone, Sewanee has experienced two fifty-year droughts that nearly dried up neighboring towns completely. Weather patterns have become more variable as the effects of climate change intensify, and communities across the globe are shifting to a precedent of water scarcity with intermittent events of extreme flooding. For many, these wetlands are the solution: Outside of Atlanta, Georgia, over 263 acres of wetlands polish off the pharmaceuticals found in Clayton County’s treated wastewater, and recycle up to 17.4 million gallons of water a day for the city. During the second-worst drought in Georgia history in 2007, Clayton County was able to keep their raw reservoirs of water at 77% capacity, all because of their sustainable water cycle. 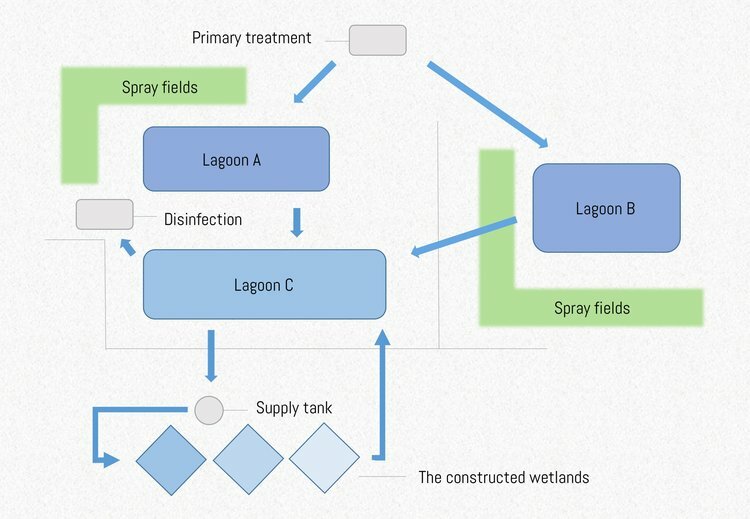 These wetlands are effective on large scales, but McGrath and Dr. Ron Carroll are concerned with the efficacy of these projects on a smaller scale; could they be implemented in small water treatment facilities, possibly saving rural areas from water scarcity in the future? 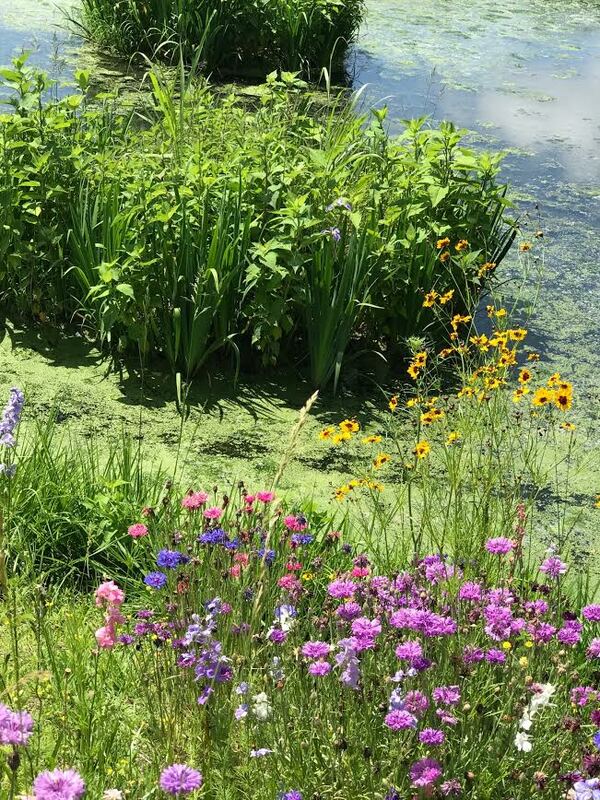 If their data suggests significant improvement in water quality, smaller water treatment centers across the United States and even globally can implement water recycling through constructed wetlands, without sacrificing over 60 acres of land. Although the research seems hopeful, Dr. Deborah McGrath and UGA environmental lawyer Dr. Laurie Fowler are also dealing with the public face of the project. 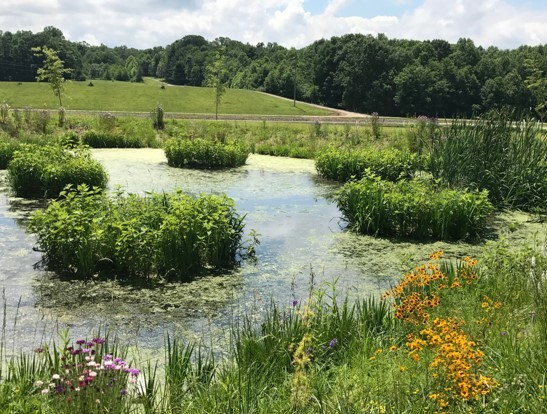 The public outreach campaign that surrounds the constructed wetlands ranges from an informational website to hosting field days for local adults, as well as high and elementary school students, inviting them to visit and learn about the wetlands. Sewanee’s water system is incredibly pure. Most residents have the luxury of knowing exactly where their drinking water comes from, and many are within walking distance to at least one of the rain-fed reservoirs in town. With most of the local population aware of their drinking water’s uncorrupted history, there has been some resistance to the idea of willingly using wastewater as a drinking source. McGrath and Fowler have been working to counteract that negativity by showing the public the intrinsic beauty that the wetlands can have; dressed with native freshwater vegetation, butterflies, a booming presence of amphibians and birds, the wetlands could be considered one of the most beautiful pockets of biodiversity on campus. In order to create sustainable water systems for a likely water-scarce future, the public’s conceptual approach to wastewater needs to shift from disgust to at least begrudging acceptance. Backed by research and the aesthetic of a healthy wetland, McGrath hopes this project can achieve that.